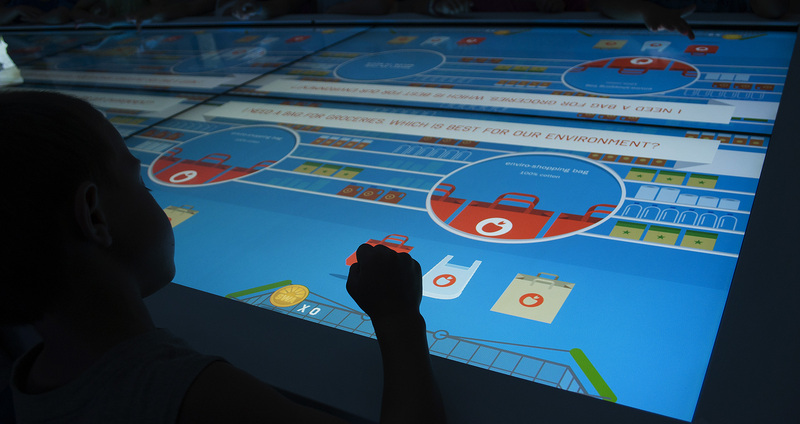 The experience at the Solid Waste Authority of Palm Beach’s education center, comprises of a 20 foot mutitouch table and a large video display system. At the touch table, users can discover more about the renewable energy facility and the area surrounding it, via a large interactive map. Users are also invited to participate in 3 interactive, educational games and learn more about recycling, waste and how to be more environmentally conscious. The experience is led by an instructor and controlled via an iPad.